The role of the nurse is to provide evidence-based, culturally-sensitive care in order to assist the individual to lead an independent healthy lifestyle, overcome ill health or experience a peaceful death. The nurse achieves this through working as part of a professional multidisciplinary team to provide primary healthcare, acute hospital care, community and home and continuing care, based on individual and population health needs across the lifespan. Students of nursing learn about caring and the complexities of health and illness through interactive teaching and learning strategies in the classroom and the healthcare environment. Practice (clinical and community) experience provides the student with opportunities to integrate the art and science of nursing and promotes the development of caring relationships with patients and their families/significant others. Nursing practice, rooted in compassion, draws upon extensive knowledge and experience to provide physical and psychological care of the highest quality. Nurses take centre stage in ensuring efficient and effective delivery of accessible, integrated and consumer-driven healthcare, creatively designing health related services, and ensure quality through advocacy, policy-making, service management, education and research. Nursing: The course for you? Do you love working with and for the benefit of people of all ages and from diverse backgrounds? 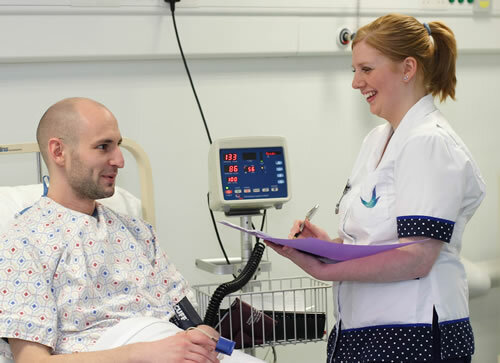 If you want a rewarding and respected career with great employment and travel opportunities, then the professional course in nursing could be for you. A genuine interest in people and a desire to care for others are core requirements for any individual who wishes to become a nurse. 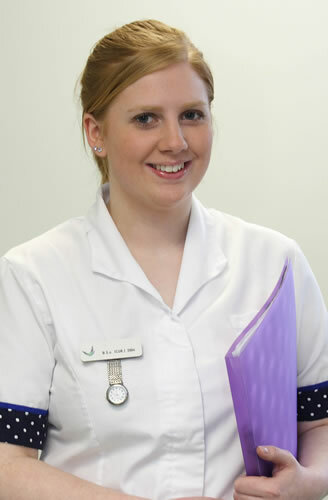 In addition you will need to have a keen interest in healthcare and be capable of working as part of a team. Like all professional courses in health sciences, nursing places extra demands on students’ time. It can be demanding, both physically and emotionally and so you should ensure that you are in a position to fully engage with the course during your time in Trinity. With over one thousand undergraduate nursing students in Trinity, you will become part of a vibrant student community – the School of Nursing and Midwifery, Trinity is the largest School of Nursing and Midwifery in the country. You will have the opportunity to meet and mix with students from all nursing disciplines as you study core modules together. You will also form cohesive bonds within your own discipline as you begin to specialise within your chosen area of nursing. Nursing students are taught theory predominantly in the School of Nursing and Midwifery building on D’Olier St, which is a wonderful historic building in the heart of the capital. The School is a great place to learn and interact with classmates and with its close proximity to Trinity’s main campus, nursing students are never far from the centre of student life. Graduates from the Trinity School of Nursing and Midwifery will be competent, innovative and caring professionals who are capable of leading change, shaping policy and responding to an ever evolving healthcare environment. There are many opportunities in both public and private healthcare institutions in Ireland and worldwide. A degree from Ireland’s top School of Nursing and Midwifery will of course assist you in finding the right job in your chosen career. You will also be qualified to continue your education and to further specialise should you wish to do so. The Trinity School of Nursing and Midwifery offers a wide range of postgraduate courses for furthering your studies. Nurses also take up careers in industry, particularly in the marketing of healthcare products. This course will provide you with the knowledge, skills, attitudes and professional values necessary to provide high-quality, competent and caring practice in your chosen discipline of nursing. There are two components to the nursing degree course; a theoretical component and a practice (clinical/community) component. The theoretical component will be taught in the Trinity School of Nursing and Midwifery building, the main Trinity campus and in the Trinity Centre for Health Sciences in St. James’s Hospital. Teaching methods include lectures, tutorials, practical classes, clinical skills laboratories, group teaching, web-based learning and reflective workshops. For the practice component you will be linked with one of the health service providers and also have clinical/community placements in a variety of settings. During the fourth year of the course you will undertake a 36 week roster of continuous placement. This placement spans the fourth and fifth years of the integrated children’s and general nursing course. Mental health nursing is a highly rewarding specialist nursing discipline. As a mental health nurse you will work with people who experience mental distress in a variety of contexts. Mental health nurses work in partnership with the person and their family/advocate to enable them to mobilise their own inner as well as professional resources, in a way that promotes personal growth, maximum development of potential and recovery. WHICH HEALTH SERVICE PROVIDER WILL YOU TRAIN WITH? When you accept an offer for one of the nursing courses you will receive orientation information from Trinity. This information contains a form asking you to indicate which health service provider you would prefer to be linked with. Requests are dealt with on a first-come, first-served basis. Where possible you will be assigned your first choice. However, if the number of applicants exceeds the number of places available, you will be assigned your second choice. A reserve list is held and if a vacancy arises it may be possible to transfer to your first choice. Most students are allocated their first choice of health service provider. A combination of examinations, essays, clinical projects, clinical skills, laboratory techniques, literature reviews (review of past and current literature relating to the subject matter), reflective practice (thinking about an experience and reflecting on its meaning) and clinical assessments are used. The Erasmus programme enables students to study at another European university as part of their university degree. This is an exciting opportunity for students to experience an elective clinical placement in another European Union healthcare system which may be provided for a maximum period of eight weeks duration. Erasmus exchange takes place in semester two of second year and semester one of third year. Trinity nursing and midwifery students can study at one of our partner universities; we have partnerships with many EU universities for our various nursing and midwifery courses. Students currently have the opportunity to go on Erasmus to the following (dependent upon profession or nursing discipline): Turku University of Applied Sciences, Finland; University of Malta; University of South Wales; Technical Institute of Education, Athens, Greece; University of Northern Denmark, Aalborg, Denmark; University of Maastricht, Netherlands; Wolverhampton University, UK. Applications must be received by the CAO by 1 February of the proposed year of entry. You are not required to submit a mature-student supplementary application form to Trinity. However, you will be invited to attend a written assessment by the Nursing Careers Centre.